October is another busy month here at Shhh! Promotions. We’ve got three great gigs coming up featuring some of our favourite artists. 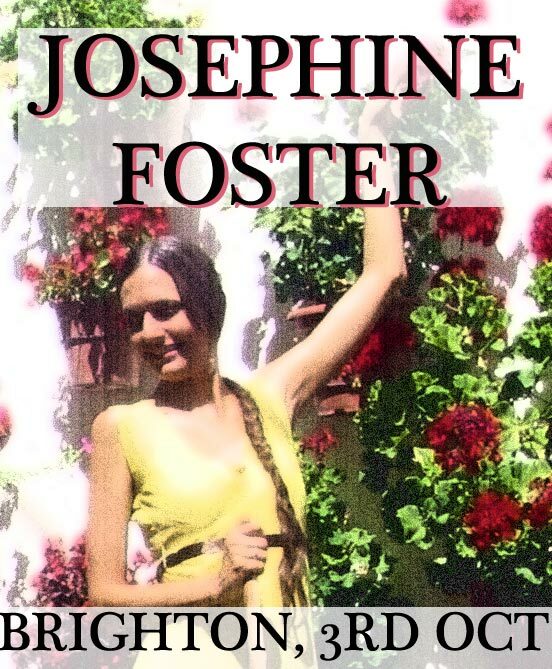 Things kick off on Sunday 3rd October at The Basement with the incredible Josephine Foster, joined by Spanish composer and guitarist Victor Herrero and his band. They will be playing songs from their new album ‘Anda Jaleo’. The show will feature traditional Spanish folk ballads, flamenco dance and poetry, as well as some Josephine Foster classics. Support is provided by Caroline Weeks, a talented multi-instrumentalist and singer who has worked extensively with Bat For Lashes and Radiohead’s Phil Selway, as well as releasing some beautiful solo recordings. 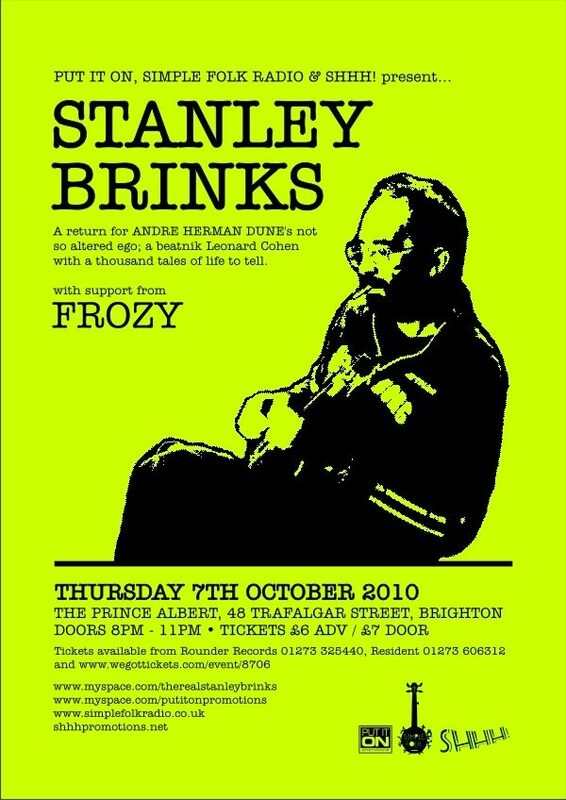 Next up, we have Stanley Brinks (also known as André Herman Dune) at The Prince Albert on 7th October. Stanley Brinks played a sold-out show for us back in March and we couldn’t resist inviting him back. This ‘beatnik Leonard Cohen’ is going to fill the intimate Prince Albert venue again so we’re recommending you get your tickets early. Stan will be supported by Freschard and new anti-folk band Frozy (who were last seen in Brighton supporting Jeffrey Lewis). Finally we have The Great Park, a Brighton favourite who has been living in Germany for the last year and is making a special return visit for a show at The Prince Albert on 20th October. The Great Park’s intimate modern folk songs tell tales of beauty, regret, sorrow and joy. This show will be a rare chance to hear his new songs live. 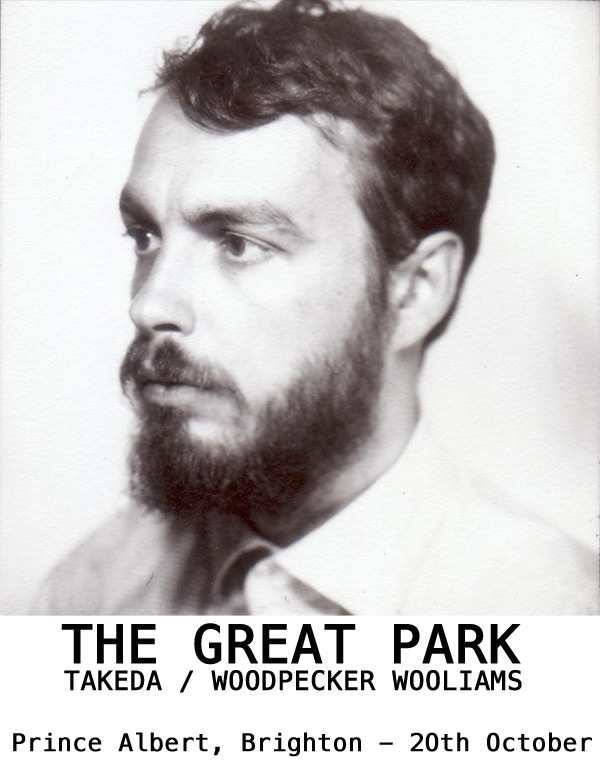 Also on the bill we have Takeda, a new upcoming folk-pop band from Norwich; and Woodpecker Wooliams, an always surprising singer and Shhh! favourite. This entry was posted on September 29, 2010 at 4:20 pm and is filed under Uncategorized. You can follow any responses to this entry through the RSS 2.0 feed. You can leave a response, or trackback from your own site.